Among the 106 distinguished individuals from 69 institutions worldwide to be inaugurated as the first class of Fellows of the The American Association for Cancer Research (AACR) Academy will be five researchers and leaders from The University of Texas MD Anderson Cancer Center at Houston. The first class of the Fellows of the AACR Academy will be inducted at the AACR Annual Meeting 2013, to be held in Washington, D.C., April 6-10. The number of inductees, 106, is to symbolize the organization’s age. Future classes of Fellows will consist of no more than 11 individuals, in honor of the AACR’s 11 founding members. The induction ceremony will be followed by a meeting of the Academy on Saturday, April 6, and special recognition of the inaugural Fellows during the opening plenary session on Sunday, April 7. The AACR says the Academy has been created to recognize and honor distinguished scientists whose major scientific contributions have propelled significant innovation and progress against cancer. The Fellows have been selected through a rigorous peer review process that evaluates individuals on the basis of their scientific achievements in cancer research. The Fellows of the AACR Academy is a separate entity within the American Association for Cancer Research, and only individuals who have made exceptional contributions to cancer and/or cancer-related biomedical science are eligible for election. Isaiah J. Fidler, D.V.M., Ph.D., professor and R. E. “Bob” Smith Distinguished Chair in Cell Biology, Department of Cancer Biology, and Head of the Cancer Metastasis Laboratory at The University of Texas MD Anderson Cancer Center. Dr. Fidler is an expert on metastasis, and revived and developed the “seed-and-soil” hypothesis of cancer metastasis, directing attention to the importance of the microenvironment (soil) where metastatic cancer cells (seeds) take hold and flourish. The tumor microenvironment is now a major area of cancer research. Waun Ki Hong, M.D., Vice Provost, Clinical Research; professor and head, Division of Cancer Medicine, and Samsung Distinguished University Chair in Cancer Medicine at The University of Texas MD Anderson Cancer Center. Dr. Hong was also appointed to the National Cancer Advisory Board in June, 2008, by then U.S. President George W. Bush to serve a six-year term through March 9, 2014. Dr. Hong’s landmark clinical trials demonstrated the effectiveness of organ-sparing cancer treatment, launched the field of chemoprevention, and led the field of personalized cancer therapy. He also established the groundbreaking BATTLE clinical trial for lung cancer, an unprecedented effort to match treatment to tumor characteristics. Margaret Kripke, Ph.D. is the Vivian L. Smith Distinguished Chair and Professor in Immunology Emerita. The founding chair of MD Anderson’s Department of Immunology, Dr. Kripke has made major contributions to understanding of the immune response against cancer and how cancer cells evade destruction. She retired as executive vice president and chief academic officer of MD Anderson and is now scientific director of the Cancer Prevention and Research Institute of Texas. The M. D. Anderson Cancer Center Margaret Kripke Legend Award was established in her honor to recognize scientific and medical leaders who have made extraordinary efforts to hire a diverse workforce, promote women to leadership roles, nominate women for awards and otherwise advance their careers. Dr. Kripke achieved many firsts for women at M. D. Anderson, culminating in her promotion to executive vice president and chief academic officer. The M. D. Anderson’s Women Faculty Programs Office which was established by Dr. Kripke before her retirement to improve recruitment, retention and development of women faculty, administers the award. John Mendelsohn, M.D., served as president of MD Anderson through an extraordinarily productive period of nearly 15 years from 1996 to 2011 during which the institution more than doubled in size. He was also director of MD Anderson’s Sheikh Khalifa Bin Zayed Al Nahyan Institute for Personalized Cancer Therapy. A pioneer in the field of targeted therapy, Dr. Mendelsohn and colleagues developed a monoclonal antibody that blocks activation of the epidermal growth factor receptor, which stimulates cancer. The first drug in its class, Erbitux® is used to treat colon cancer and cancers of the head and neck. 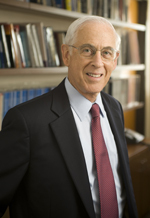 Prior to joining MD Anderson, Dr. Mendelsohn was founding director of the National Cancer Institute-designated cancer center at the University of California, San Diego, and subsequently chaired the Department of Medicine and co-chaired the Program in Pharmacology at Memorial Sloan-Kettering Cancer Center in New York. Louise Strong, M.D., professor and Sue and Radcliffe Killam Chair, Department of Genetics at the The University of Texas MD Anderson Cancer Center, is an expert in cancer genetics and epidemiology. Dr. Strong has made seminal discoveries in the genetic bases of Wilms tumor, retinoblastoma and Li-Fraumeni syndrome, as well as of the cancer risk posed by inherited genetic mutations, including those in the tumor suppressor p53. Drs. Fidler, Hong, Kripke and Strong are all past presidents of AACR. Founded in 1907, the American Association for Cancer Research (AACR) is the world’s first and largest professional organization dedicated to advancing cancer research and its mission to prevent and cure cancer. AACR membership includes more than 34,000 laboratory, translational and clinical researchers; population scientists; other health care professionals; and cancer advocates residing in more than 90 countries. The AACR Annual Meeting draws more than 17,000 attendees. The AACR also publishes eight peer-reviewed scientific journals and a magazine for cancer survivors, patients and their caregivers. The mission of The University of Texas MD Anderson Cancer Center is to eliminate cancer in Texas, the nation, and the world through outstanding programs that integrate patient care, research and prevention, and through education for undergraduate and graduate students, trainees, professionals, employees and the public. MD Anderson provides clinical cancer care at locations in the greater Houston area. Services at regional care centers vary and include radiation treatment, medical oncology and surgical oncology, along with a range of supportive services. In an effort to reduce wait times at diagnostic imaging facilities at the Texas Medical Center and Regional Care Center locations, MD Anderson is opening community-based imaging clinics throughout the Houston area. Certain MD Anderson patients can use these convenient locations for CT and MRI procedures.